For your favorite beverage! 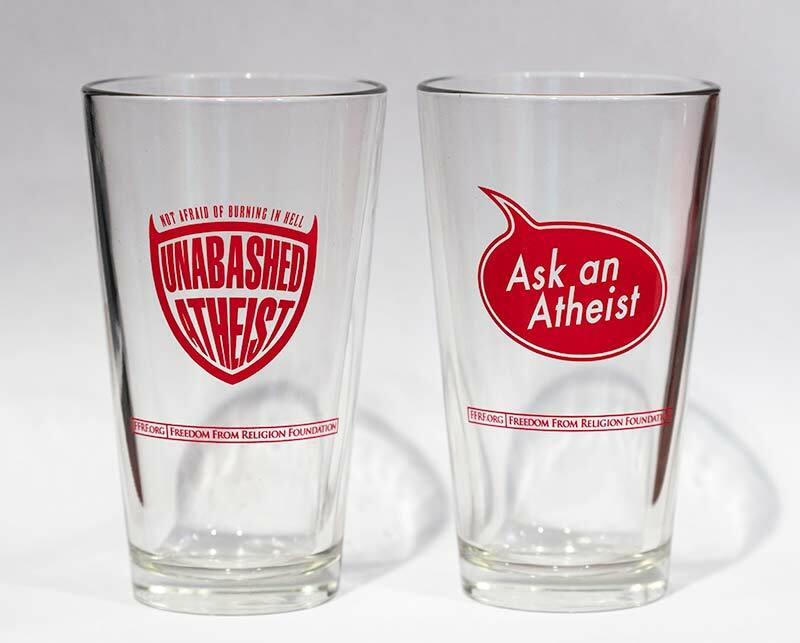 American made pint glasses customized with two favorite FFRF logos: "Ask an Atheist" and "Unabashed Atheist" printed in red. 16 fl oz. Red & white imprint on black. Made in the USA, sweatshop-free. Red and white design on royal blue t-shirt. USA made, sweatshop free.